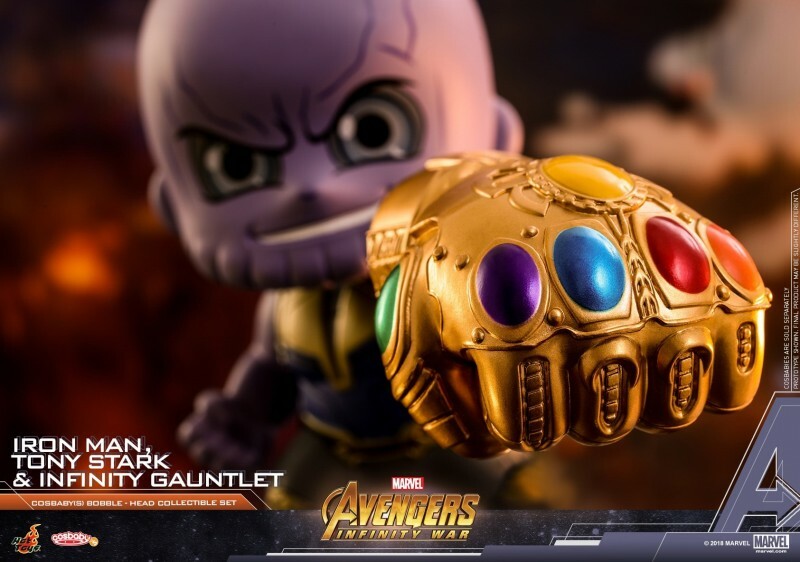 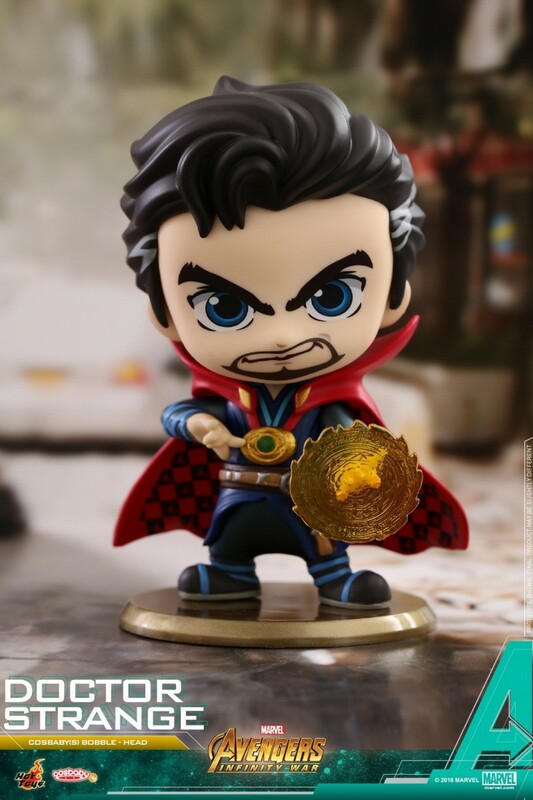 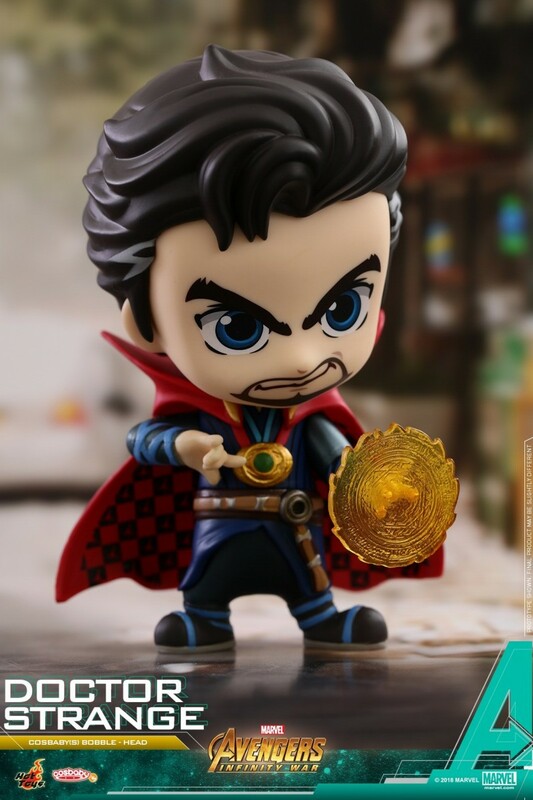 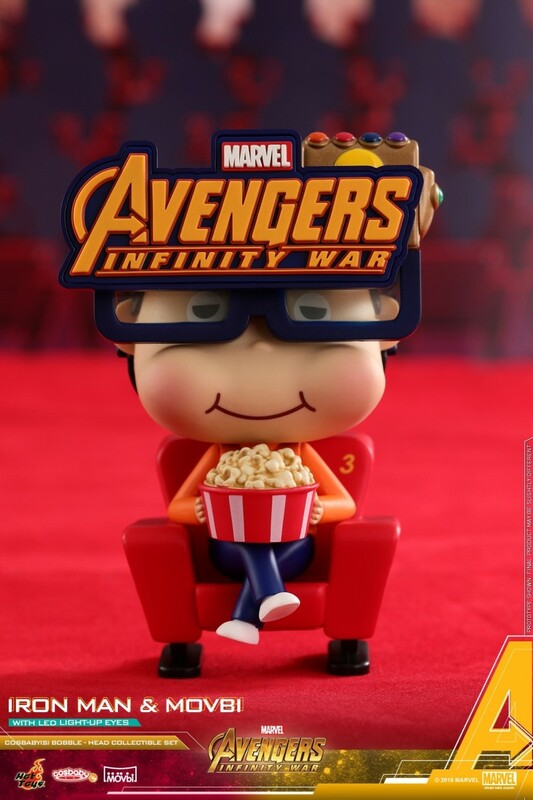 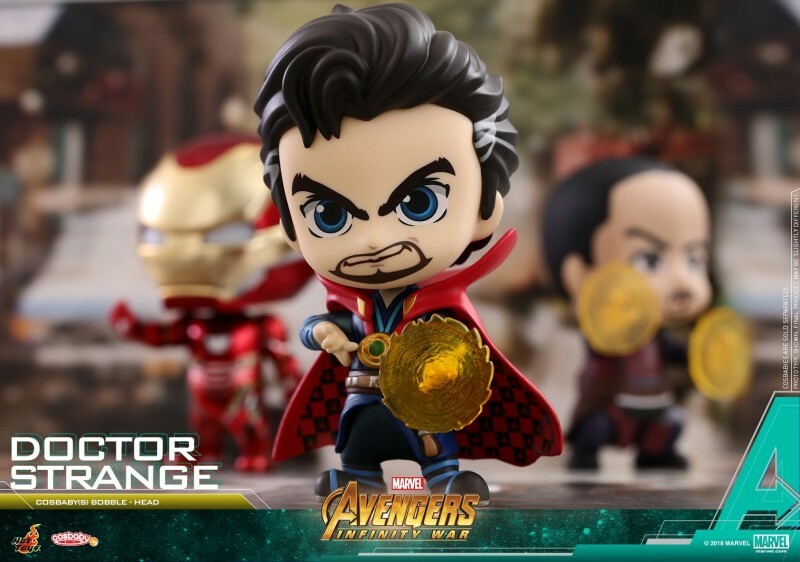 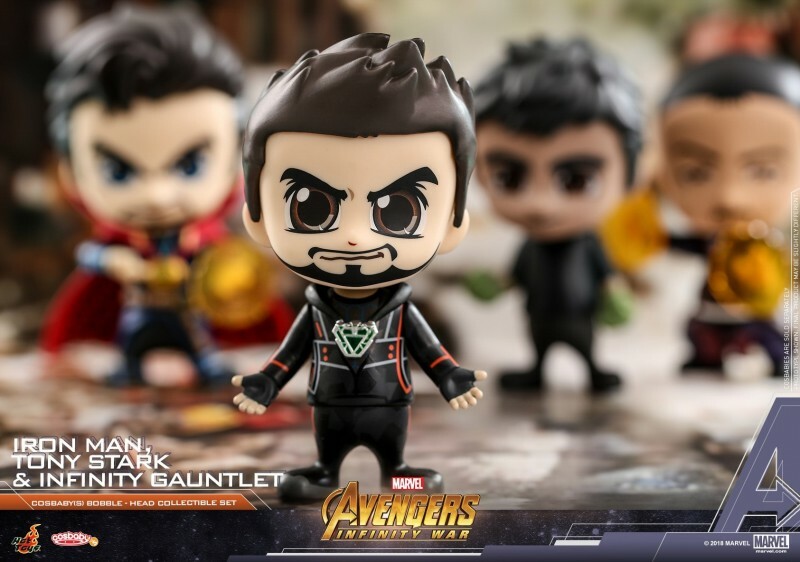 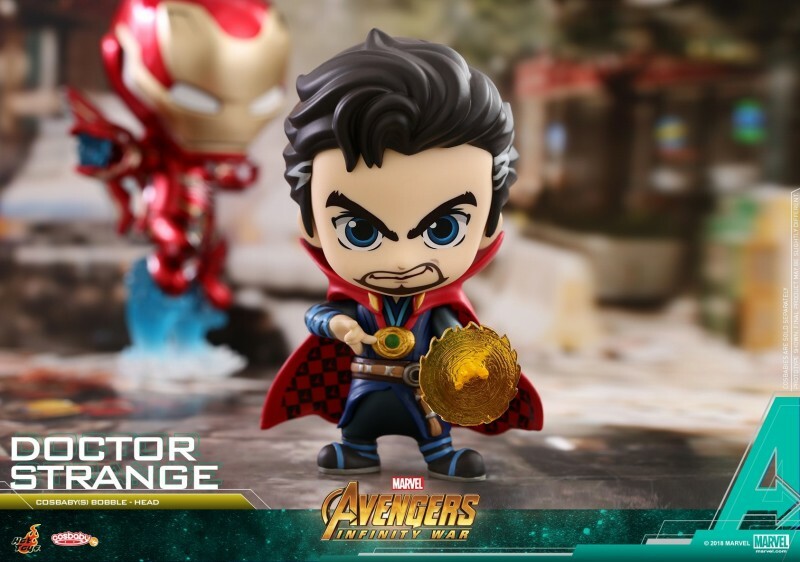 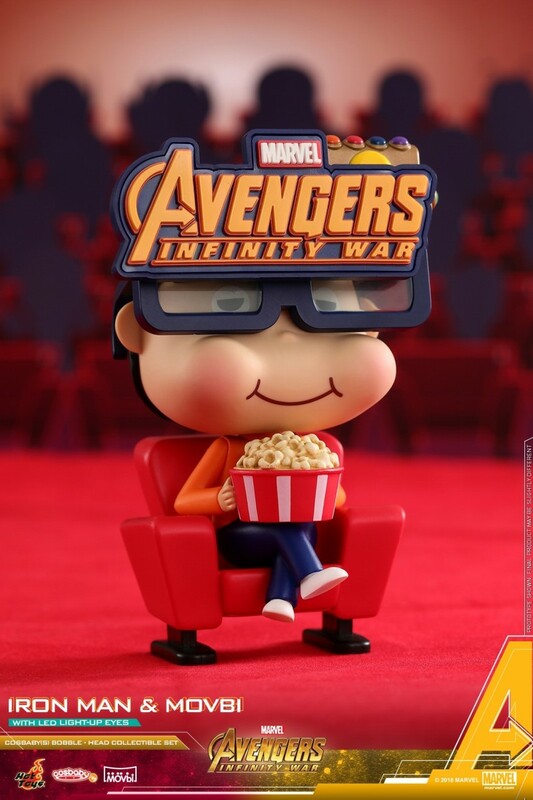 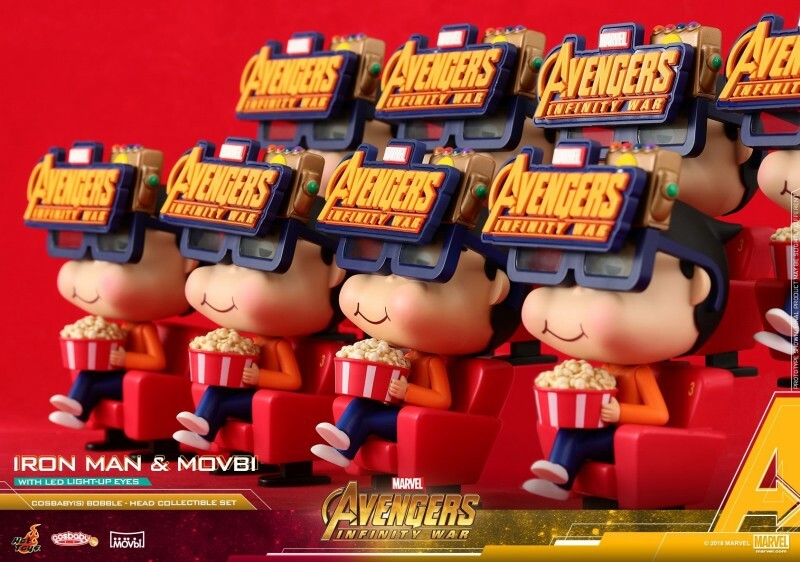 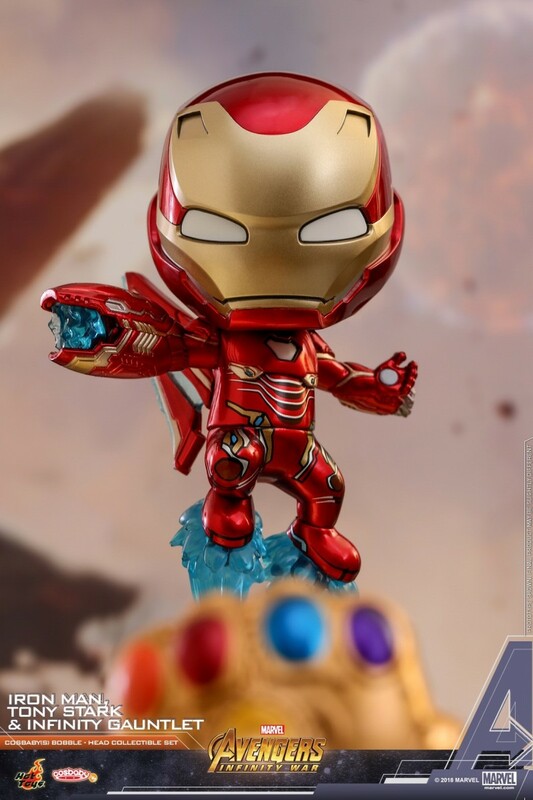 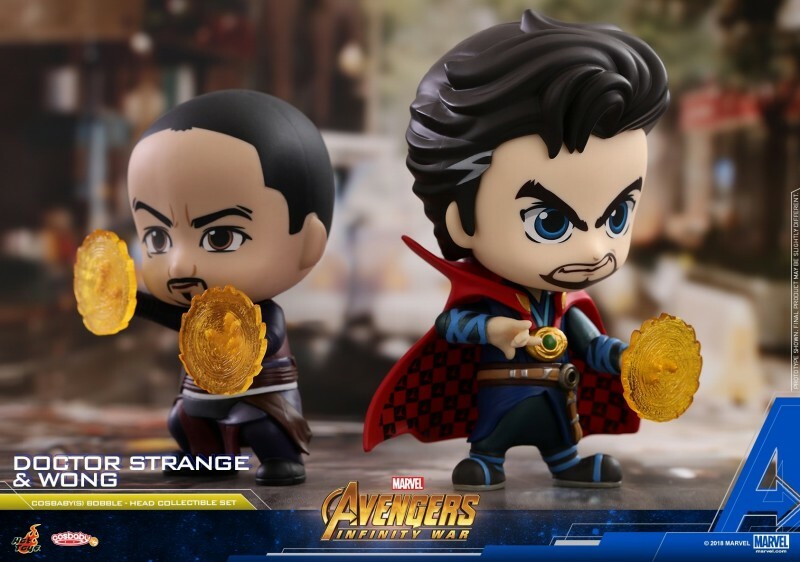 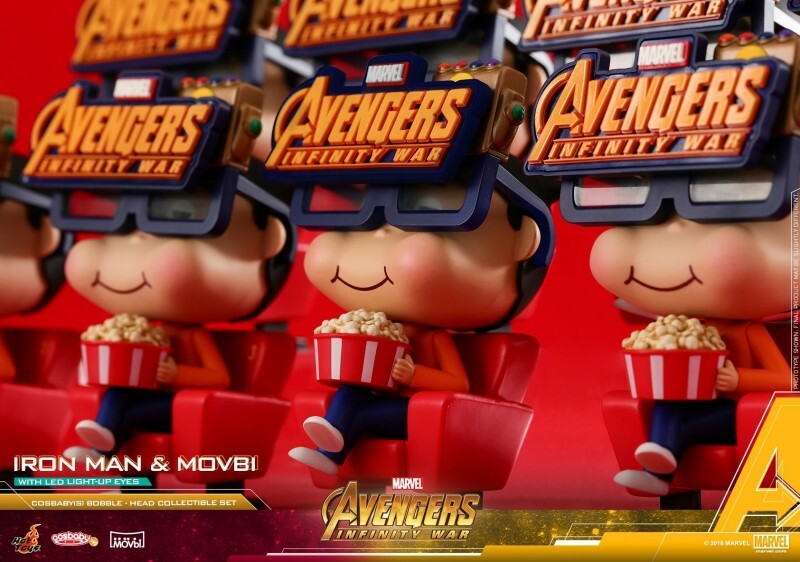 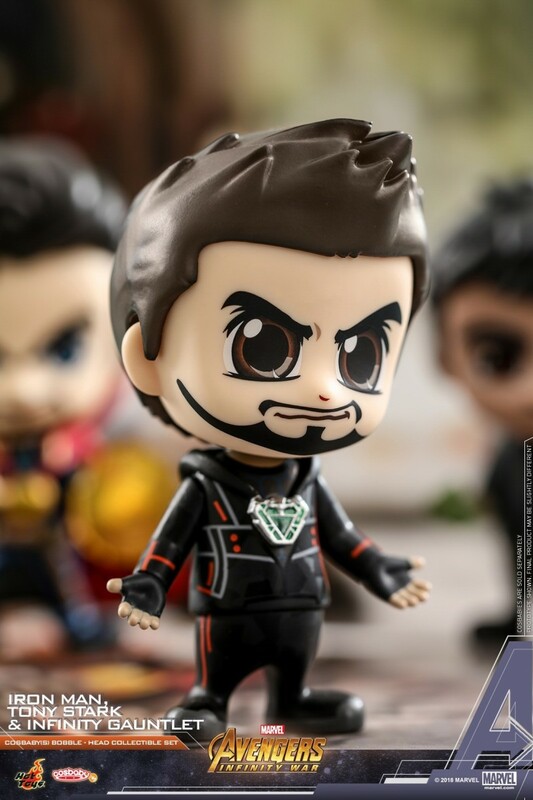 The Avengers: Infinity War Cosbaby series stands about 8.5 – 12cm tall features Dr. 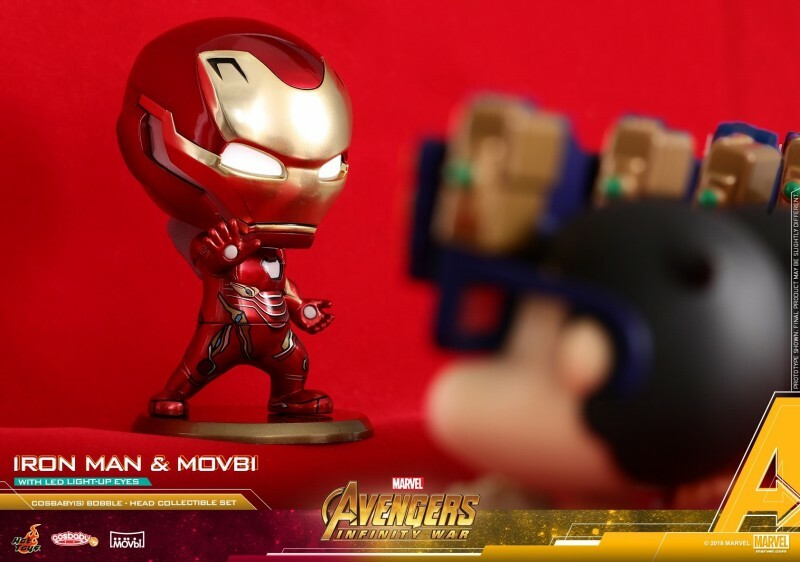 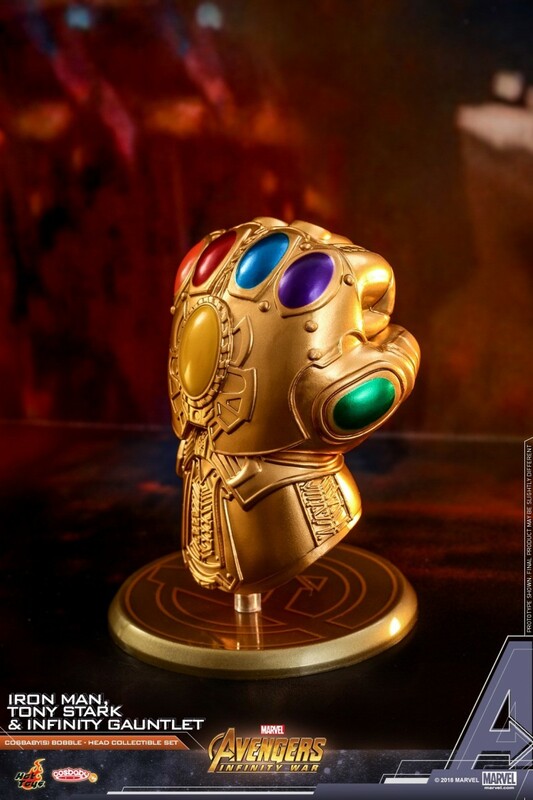 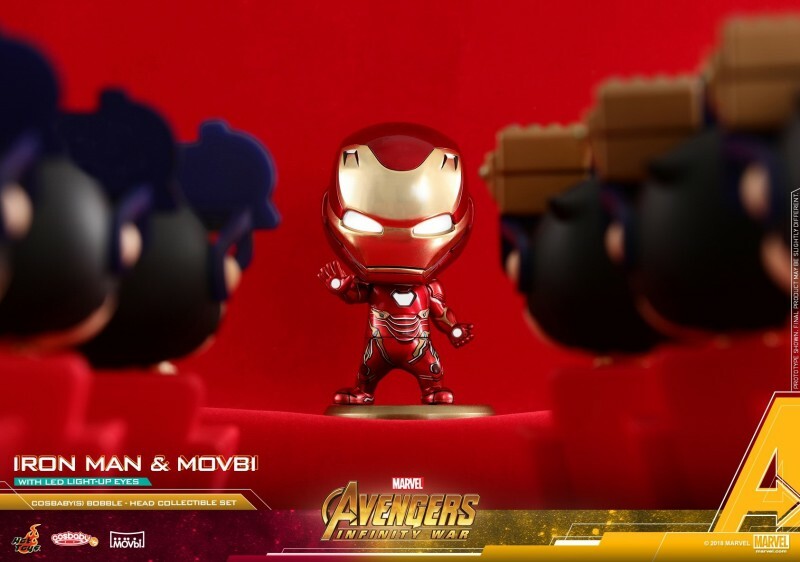 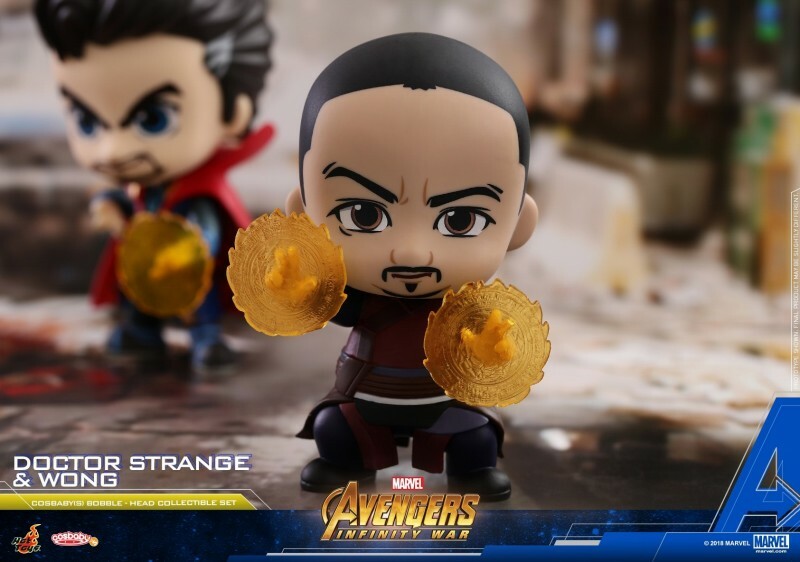 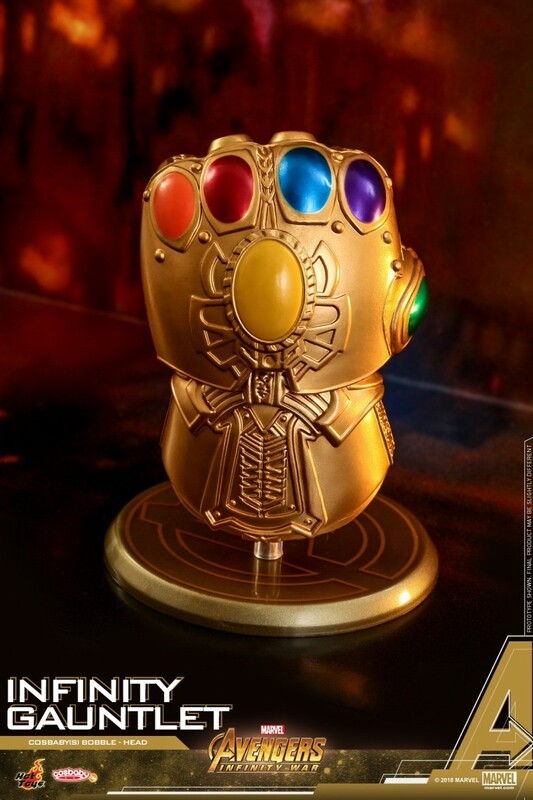 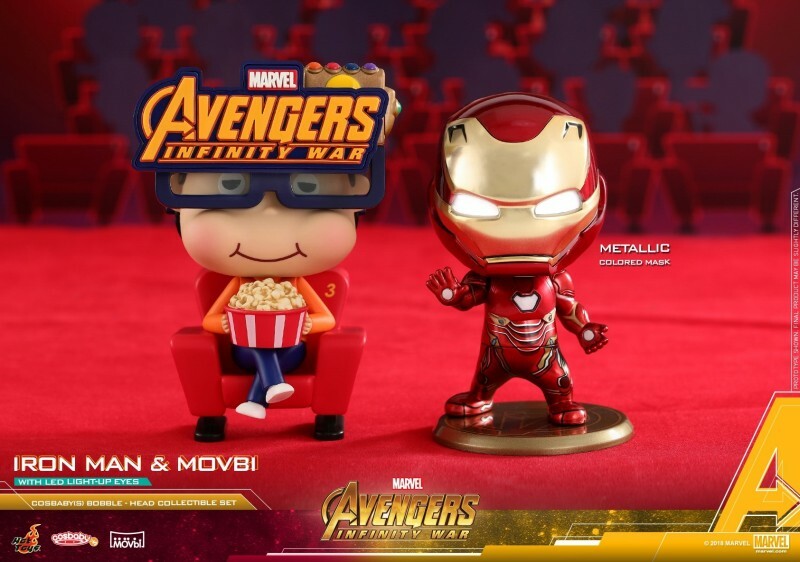 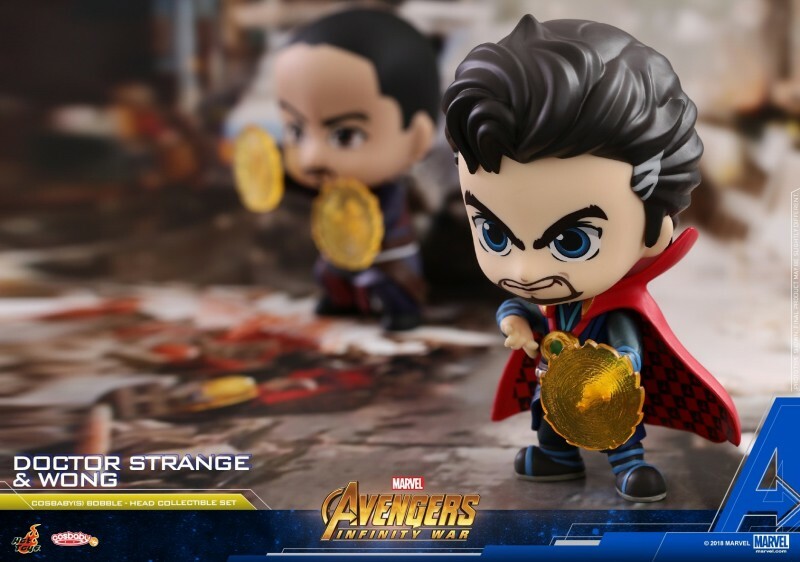 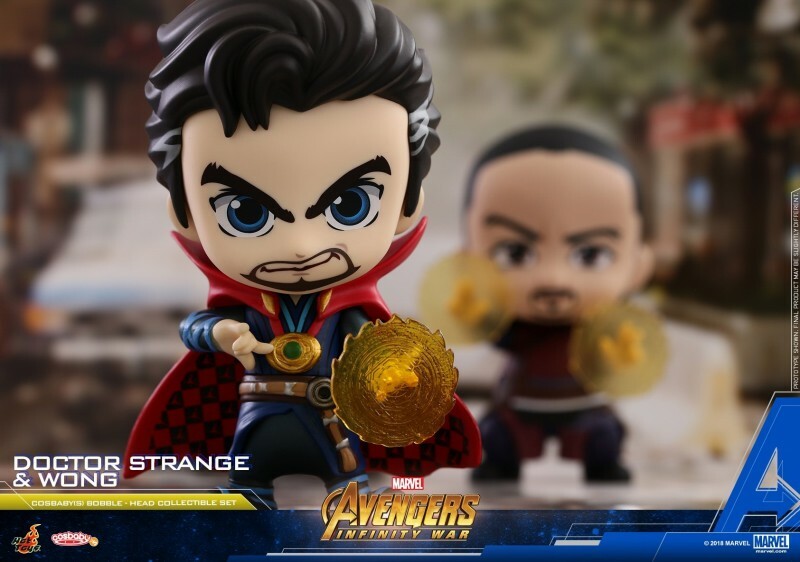 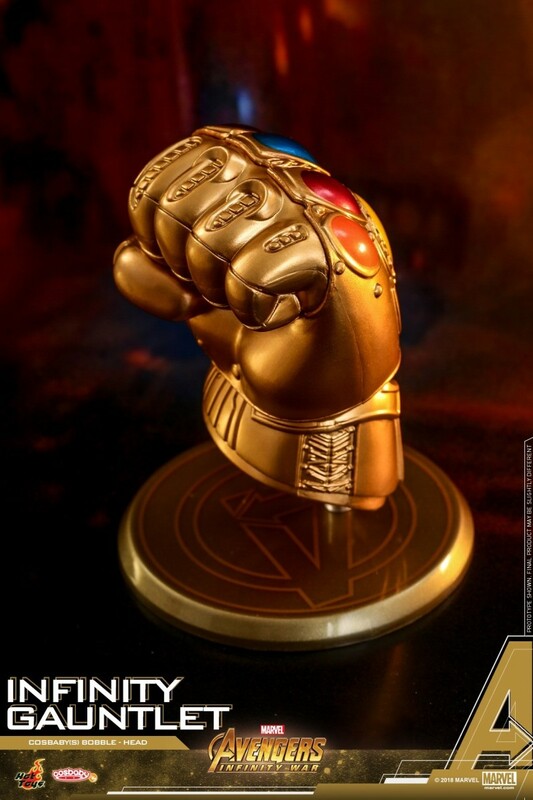 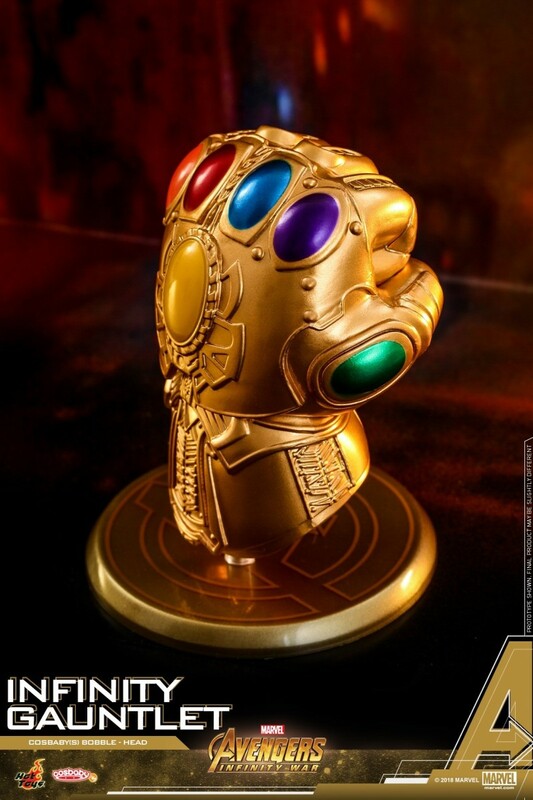 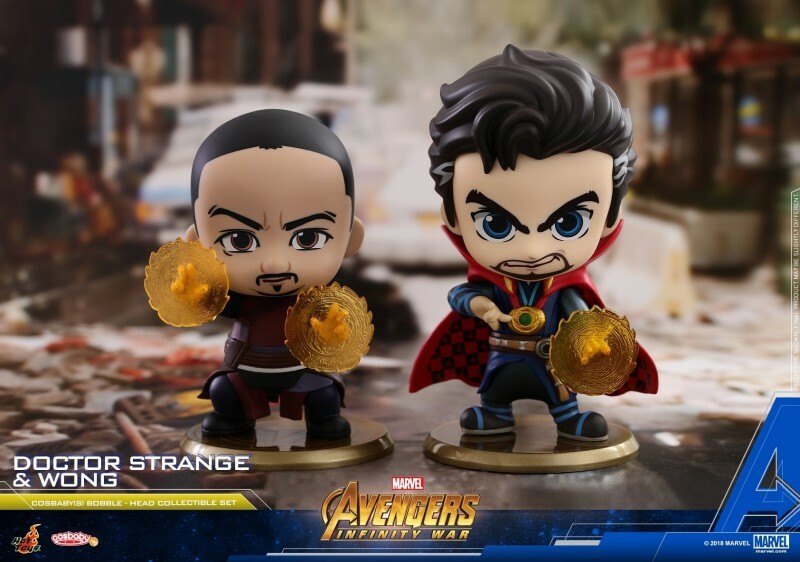 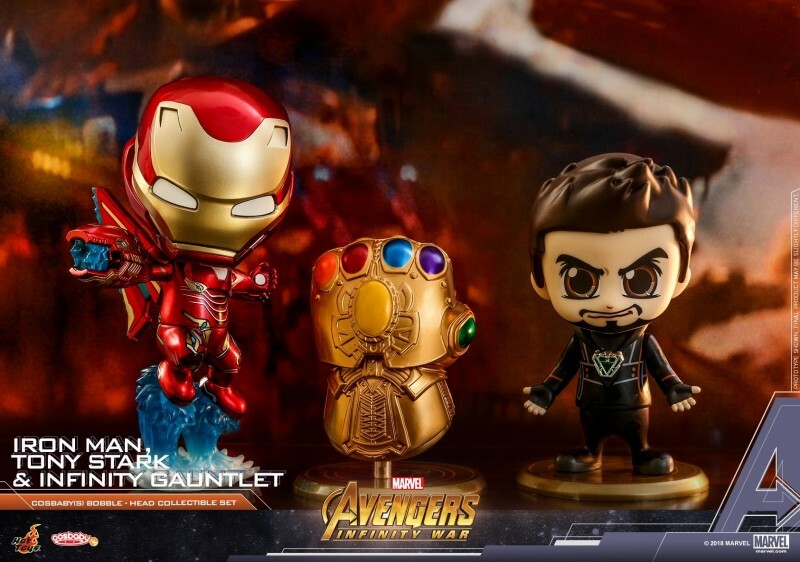 Strange, Iron Man (Battling Version) and Infinity Gauntlet; whereas Iron Man, Tony Stark, Wong are only available in their respective collectible sets! 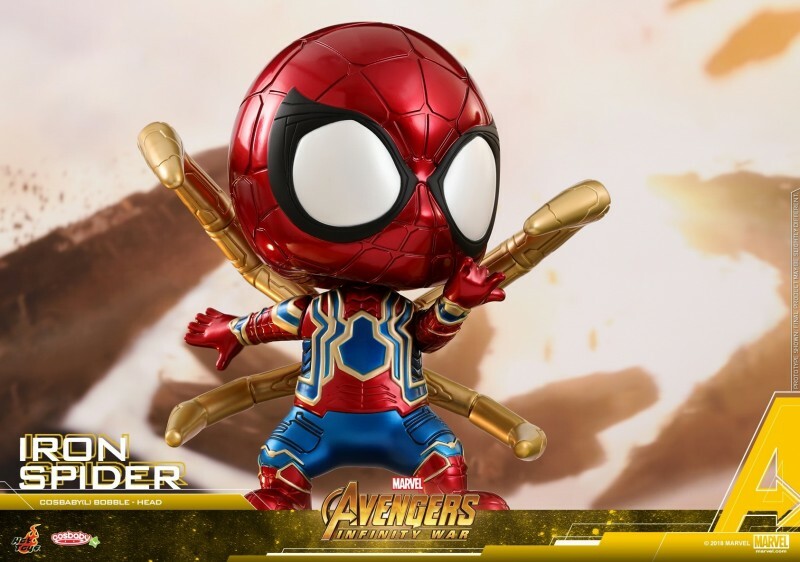 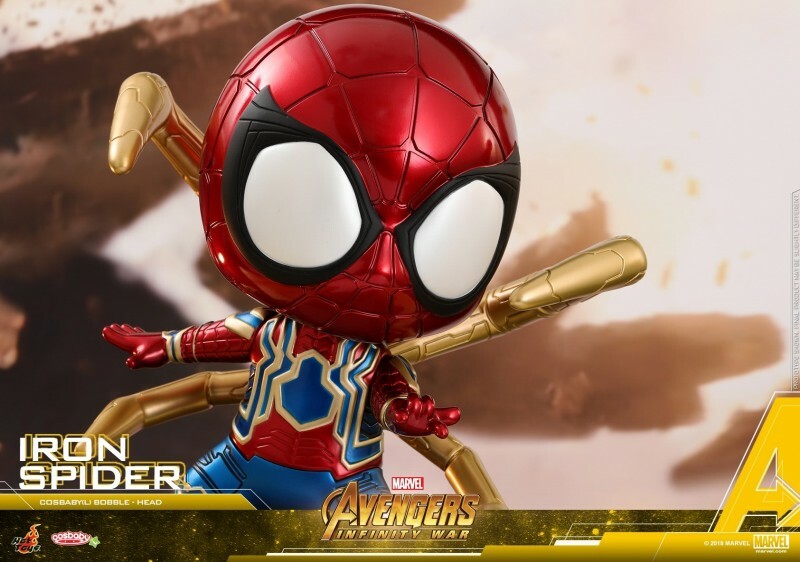 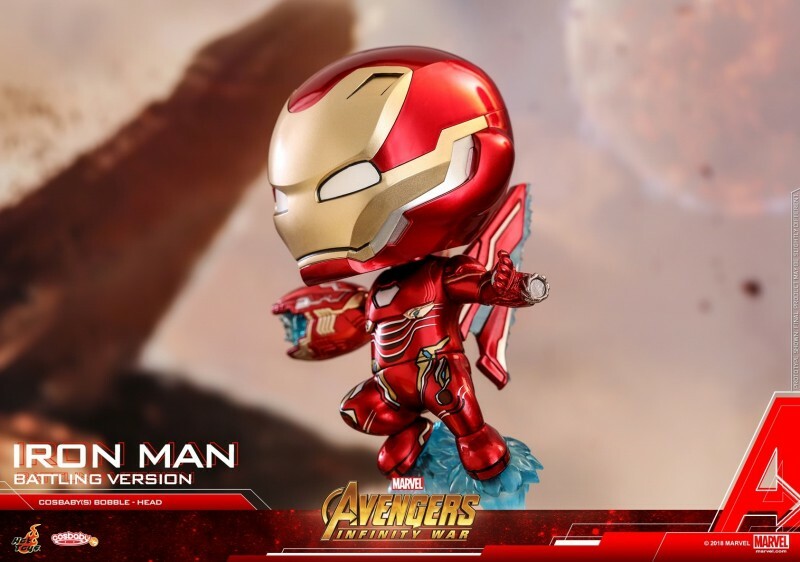 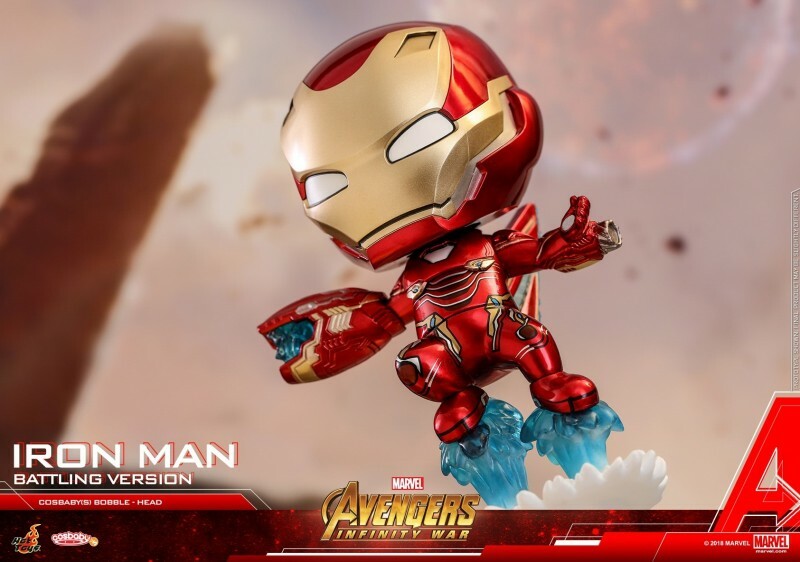 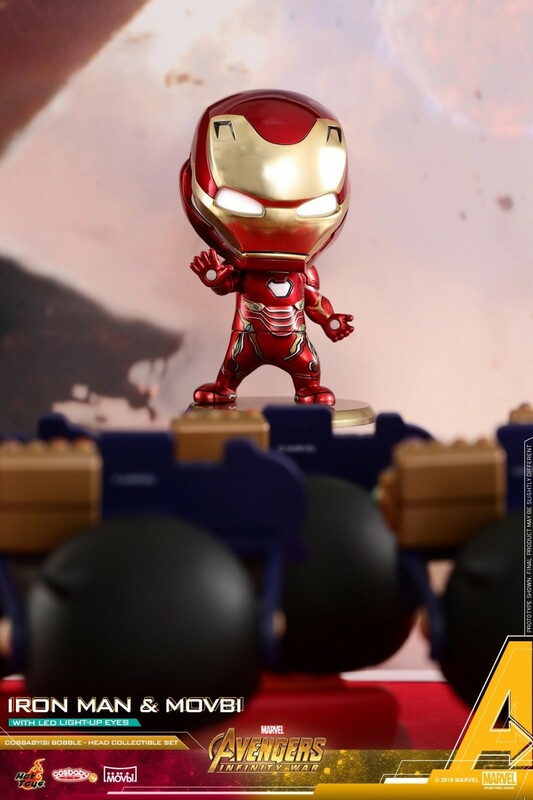 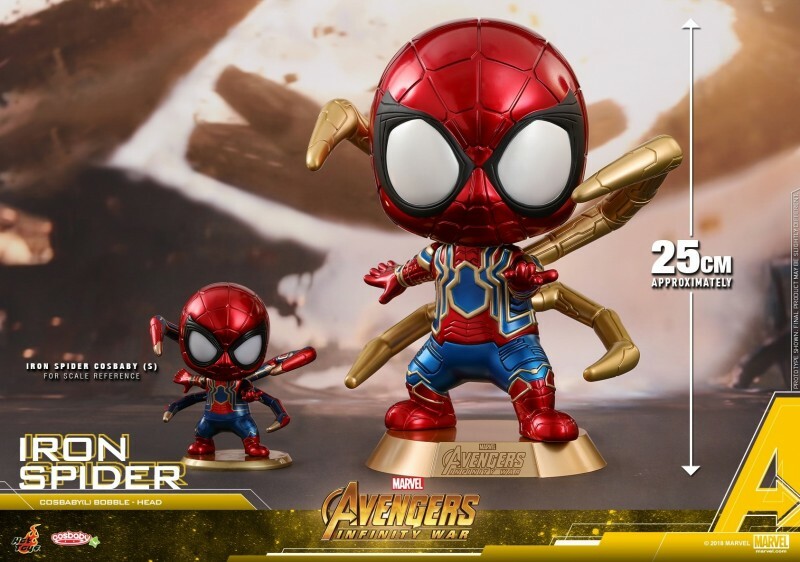 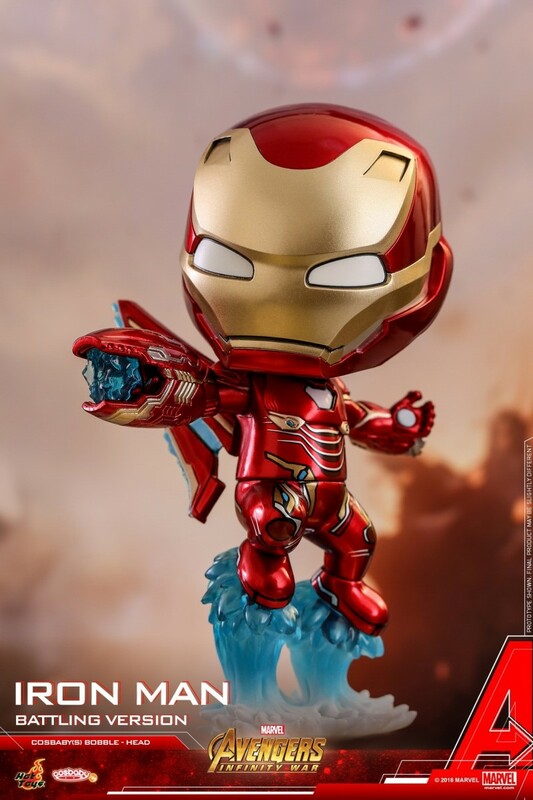 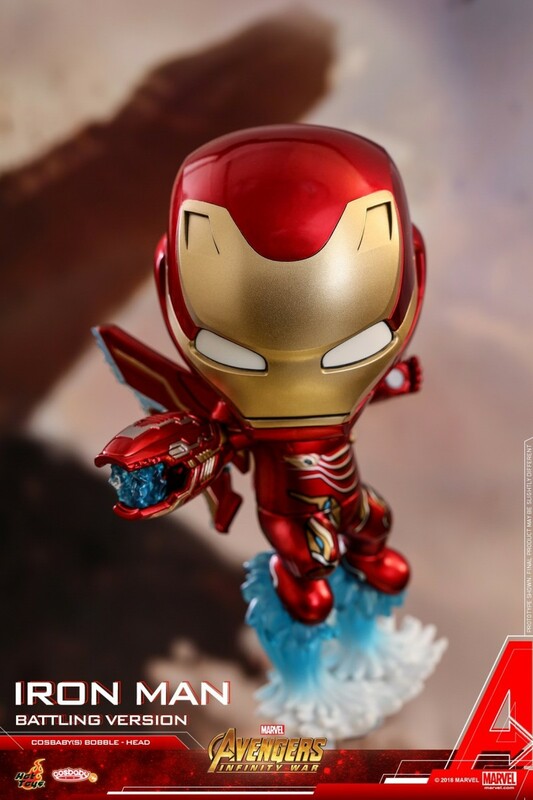 In addition, a approximately 25cm tall Iron Spider Cosbaby (L) Bobble-Head with stylishly painted metallic color will be included in this release.